I have been really bad about keeping up with the New Earring Mondays. For some reason, earrings are the hardest for me to design. It has been so long actually that I am not even sure of th week numbers. I did make a couple simple pairs this time around that I wanted to share. This pair was actually designed to go with a necklace that I made that will be going up on Jewelry Because sometime in October.. 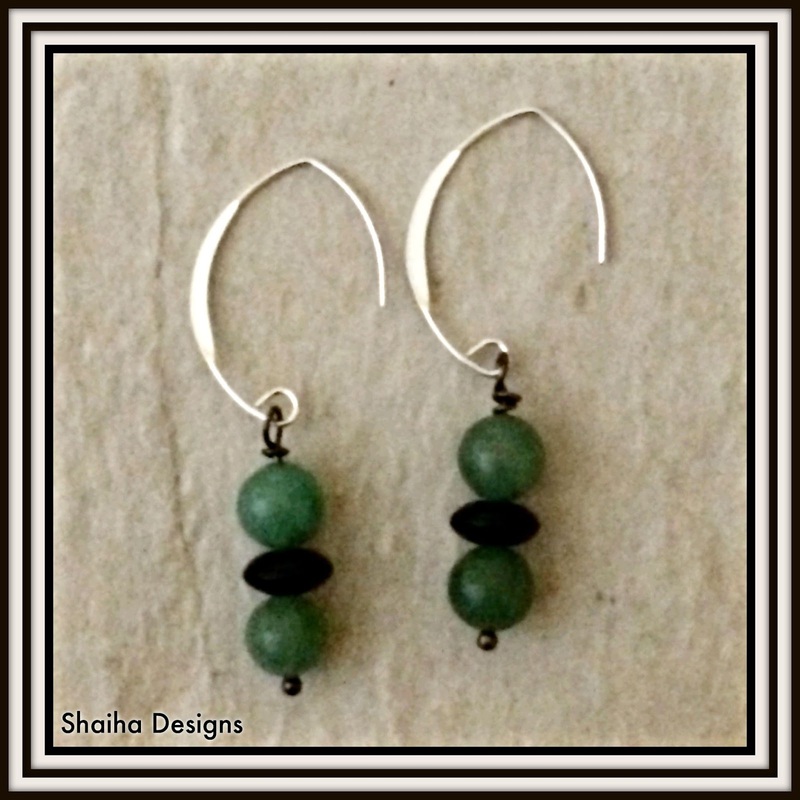 It was made using adventurine and onyx. The earwires are sterling silver. This next pair will also being going up on Jewelry Because in October to support water conservation. 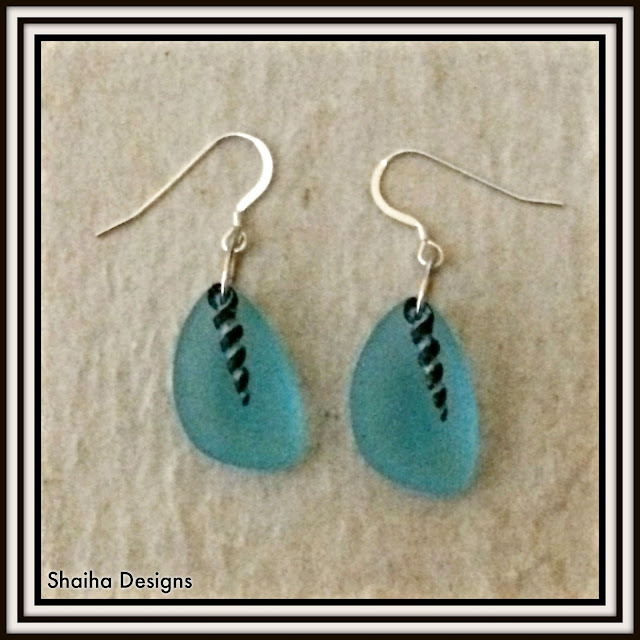 I used sea glass as well as Greek patinated copper dangles. The earwires on these are also sterling.